Philippine officer boarding the GMCP training dhow in Trincomalee, Sri Lanka. 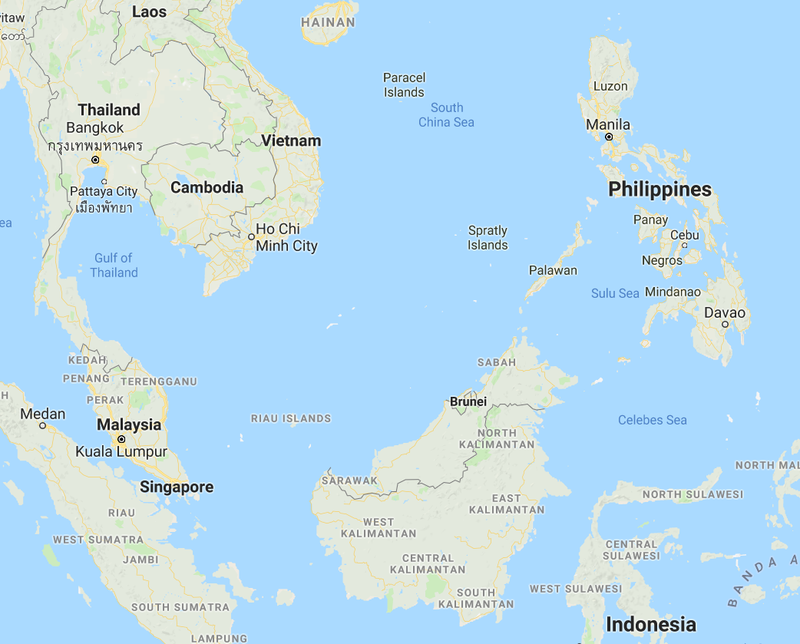 The waters surrounding Indonesia, Malaysia and the Philippines are increasingly facing maritime criminality such as trafficking in persons and illicit substances and smuggling of migrants and arms. The development of visit, board, search and seizure (VBSS) of vessels capacity for those States is an important approach to tackling maritime crime and fair prosecution of offenders. 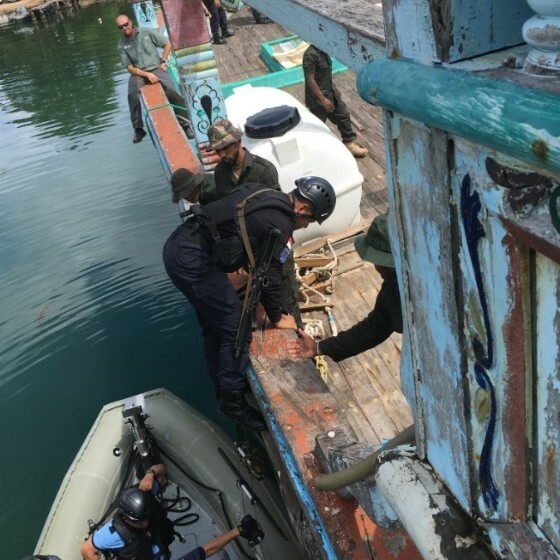 For that reason, GMCP along with the Sri Lanka Navy Special Boat Squadron, delivered theoretical and practical VBSS training to officers from Indonesian Customs, the Philippines Maritime Police and Coastguard and the Malaysian Maritime Enforcement Agency and Coastguard. Sulu and Celebes Sea and South China Sea region. The Sulu and Celebes Sea and the South China Sea are hot places full of incertitude and challenges. Particularly, maritime law enforcement agencies from Indonesia, Malaysia, the Philippines, Thailand and Vietnam struggle with information sharing due to language differences and there is no mechanism to overcome this obstacle. To support the affected member states, GMCP launched the Maritime Law Enforcement Dialogue in Southeast Asia in 2016 and continues to promote strong investigation and prosecution through meetings. During the month of November the fifth meeting took place in Indonesia and built the elements of a draft document on good practices, provisionally named Common Practices for Engagement at Sea for Coastguards and other Maritime Law Enforcement Agencies or the "C-PEACE". The C-PEACE seeks to reaffirm commitment to cooperation in maritime law enforcement matters, in line with existing commitments in international law and sets out guidelines and procedures - developed jointly by the participants - on a number of practical issues to facilitate working together such as standard greetings and interrogatories and identification of focal points. Hargeisa prisoners receiving GMCP vocational training in plumbing and electricity. 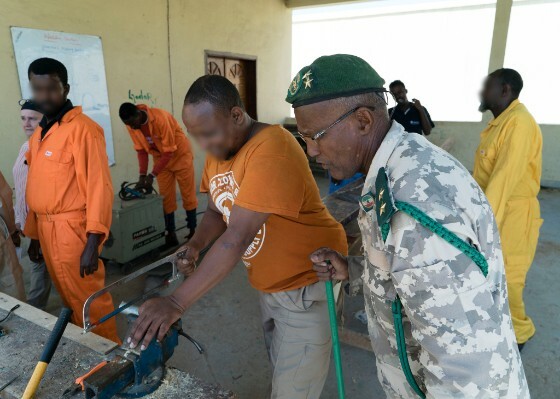 GMCP is delivering vocational training in welding and electricity for inmates at Hargeisa prison. The prisoners are using their newly learnt skills to improve and maintain the infrastructure of the prison ensuring secure and humane conditions. Additionaly, the training is part of the prisoners' rehabilitation process and provides a source of income after their release. 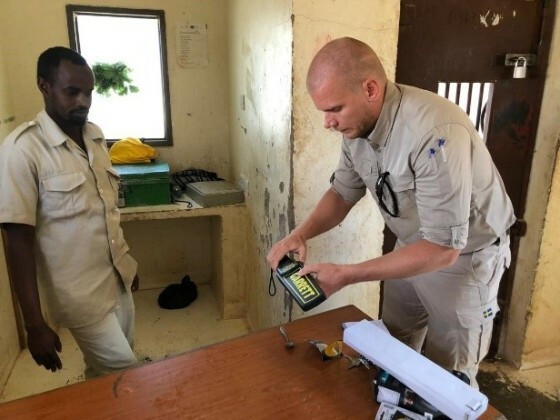 GMCP expert teaching how to operate hand-held metal detectors in Garowe prison, Puntland. Most of the contraband found in Garowe prison enters through the main gate, smuggled by visitors and prison staff. Hence the reason for a two-day training conducted by GMCP for prison personnel. The training is conducted focusing on equipping the relevant personnel with the skills of operating hand-held metal detectors and manual searching following a unique on-the-job methodology, meaning that prison staff are not required to attend a class, but rather receive training while working. 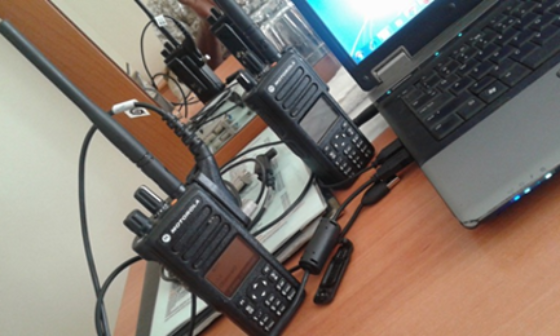 Radio equipment used by MPU. Having a fully functional communication system is essential when operating a maritime law enforcement unit. The GMCP communications expert conducted an assessment of the Mogadishu Police Unit (MPU) to identify their communication capacity. The expert noted some of the gaps in the police unit as: lengthy downtime of equipment; lack of operational base; and lack of adequate equipment. He further concluded that the overall lack of preventive maintenance has led to massive corrosion of switch contacts, rendering boat radios and navigation kits non-functional. Next step will be a rectification plan! In addition, classroom training sessions have been held focusing on Maritime Domain Awareness specific to boats/water vessels, radio voice procedures, GPS readings, way points & track, map reading and compasses. GMCP mentor demonstrating the functionality of an electronic fuel injection system. 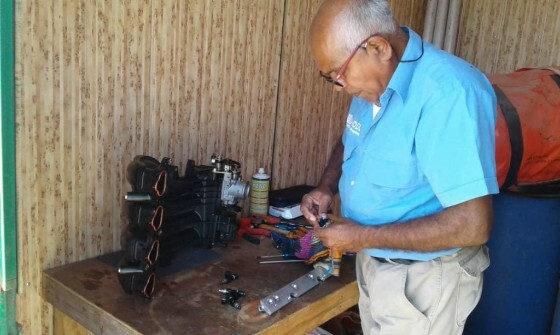 In the Bossaso Port and Maritime Police Unit, a GMCP mentor delivered theoretical and practical lessons on the function and trouble shooting of marine engines. The lessons marked the commencement of a series of repairs and maintenance that GMCP is conducting to support the sustainability of maritime assets. His Excellency the President of the Republic of Somaliland Muse Bihi Abdi being introduced to the training mentors. 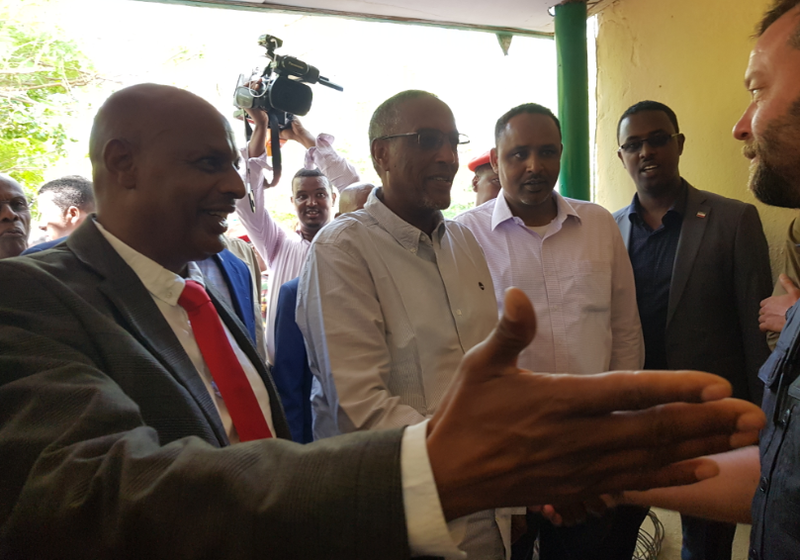 His Excellency the President of the Republic of Somaliland Muse Bihi Abdi visited the Somaliland Coast Guard in Berbera and observed the EUCAP-GMCP combined training. He took the time to acknowledge the efforts of both entities in capacity building for the Coast Guard. Somaliland Coast Guard getting ready to start the GMCP training. Looking forward to strengthening the Somaliland Coast Guard enforcement capacity, GMCP provided two training events during the month of November. The first training aimed to improve the operational availability of the force fleet by teaching the engineering team how to conduct deep surveys using their equipment and identify potential needs. 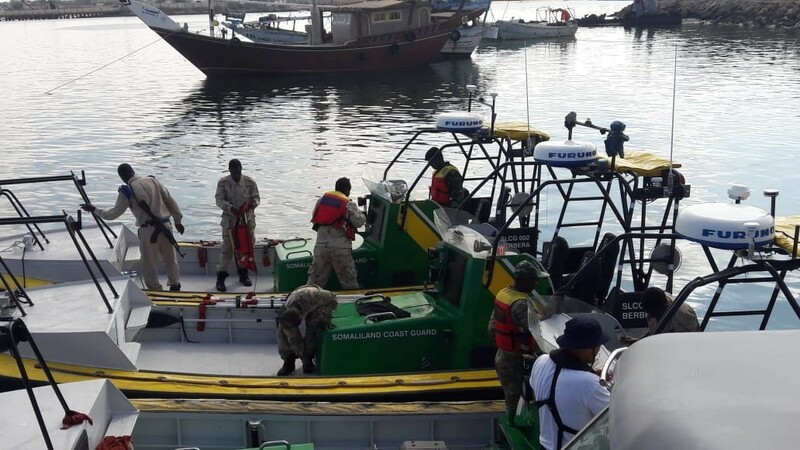 The second training covered including new boat operation, boat recovery, close quarter maneuvers, crash stop, man overboard drills, anchor operations and recovery of unconscious or dead bodies. GMCP expert conducting a maintenance assessment. 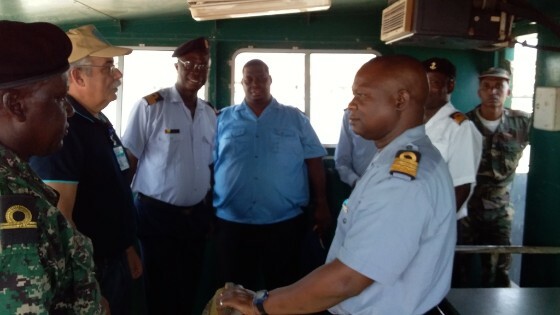 Improving quantity and quality of maritime law enforcement operations is a challenge that maritime law enforcement agencies in Guinea Bissau are pursuing. GMCP is supporting the agencies by conducting discussions with senior officers to identify their needs and their assets available as well as advising them on sustainable maintenance procedures. Representatives from Mozambique, South Africa and Tanzania producing statement of understanding. 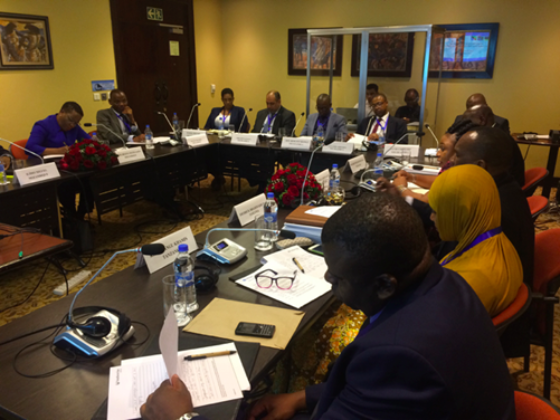 GMCP along with the European Union co-hosted a Trilateral ministerial meeting in Tanzania with delegates from Mozambique, South Africa and Tanzania to discuss countering drug trafficking in Western Indian Ocean. During the meeting, the ministers agreed to explore the establishment of a Joint Planning Cell as an information and intelligence-sharing mechanism to improve counter narcotics trafficking operations. In addition to improving law enforcement capabilities, the delegates agreed to enhance prosecution capability by considering options for a legal finish to transnational drug trafficking in the region. Shimo la Tewa prison staff performing a searching routine. Dynamic Security Training is essential in keeping a prison safe and secure. 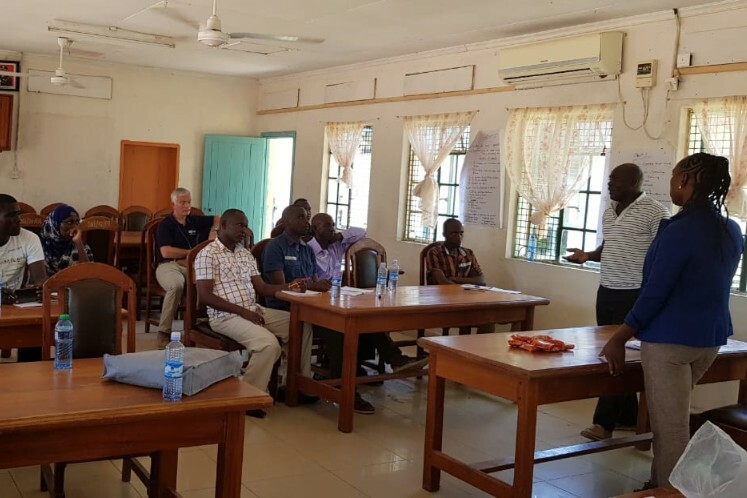 Apart from physical and procedural security, the training looks to improve the relationship between the prisoners and prison staff in order to gain awareness of all activities in the prison. The GMCP team delivered a five day Dynamic Security course to nine officers from Shimo la Tewa women prison. The intelligence cycle and security information reporting (SIR) awareness. Kenya Prison Service trainer delivering a dynamic security course module. Different from the methodology used in the Shimo la Tewa women prison, GMCP in collaboration with Kenya Prison Service are delivering a dynamic security training at Shimo la Tewa Borstal Institution which is the prison for male juveniles. When dealing with underage inmates an individually tailored approach is implemented. The comprehensive training is divided into 11 modules, delivering one module per week. Once the total number of modules have been completed, the officers receive a certification. In addition, the methodology followed causes less impact on staffing levels as well as allowing more staff to access training.